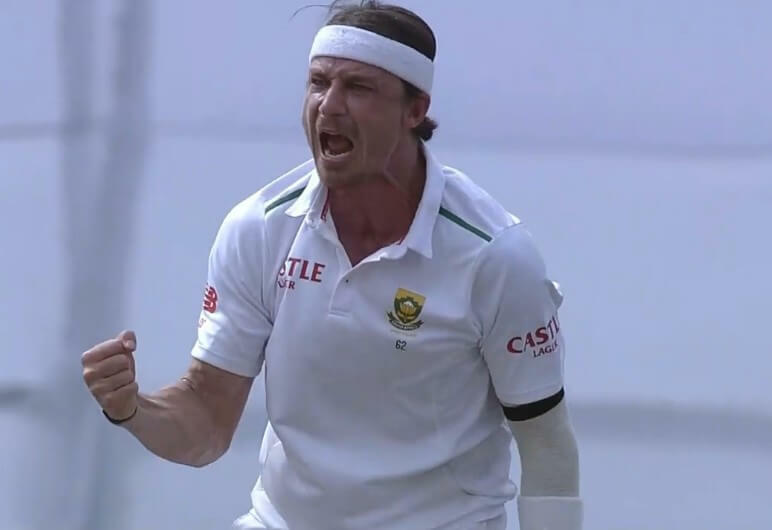 South African speedster Dale Steyn has made a remarkable comeback to international cricket after being out of the action for long due to injury. Since his return, he has been bowling at pace and looks close to the Steyn of the past. He represented the Proteas in Test cricket and even in ODIs of late. Steyn is certainly a prospect for South Africa for the upcoming Cricket World Cup 2019. Recently, he was a part of the squad that inflicted a clean sweep over Pakistan in the Test series. The 2 teams are set to engage in 3-T2oI series. But the pacer has been rested for the series and he is enjoying the time off the field. Someone tried to troll him and took Babar Azam’s reference. The Pakistani batsman had scored 221 runs in 6 innings and didn’t get out to Steyn even once. Kagiso Rabada and Duanne Olivier were the ones who accounted for Azam’s wicket. Even though Steyn couldn’t dismiss Azam, yet he had an impressive outing in the Test series. The pacer bagged 12 wickets at an average of 29 in 3 Tests and played an important role in his nation’s victory.